The people who make the PlayStation have received their share of flak for creating systems that were tougher to make games for than their competitors. That's something PlayStation big boss Kaz Hirai wants to change. 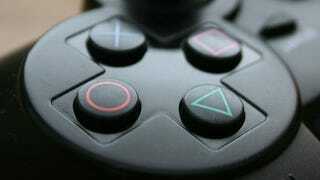 So says Sony Computer Entertainment Worldwide Studios head Shuhei Yoshida, the man charged with guiding Sony's internal PlayStation games development. Yoshida tells Develop that unannounced "future platform[s]" are being created with developer feedback. That's a good thing. "When ['Father of the PlayStation'] Ken Kutaragi moved on and Kaz [Hirai] became the president of SCE, the first thing Kaz said was, ‘get World Wide Studios in on hardware development'," Yoshida said. "So he wanted developers in meetings at the very beginning of concepting new hardware, and he demanded SCE people talk to us." With the PlayStation 3 and Xbox 360 now on more equal footing than when the former console launched—even chronic PlayStation disser Gabe Newell is now on board with Sony's box—things are really looking up for the PlayStation of the future. When do we get it? And can it still be backwards compatible, please?